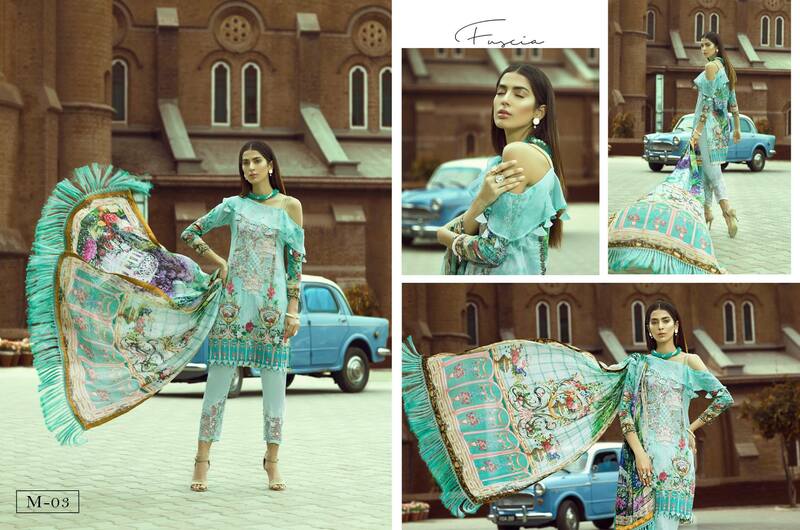 Amazing creation Morja Lawn Collection 2019 by Gull Jee presenting prime quality lawn collection for summer. Bringing Out Your Inner Diva! 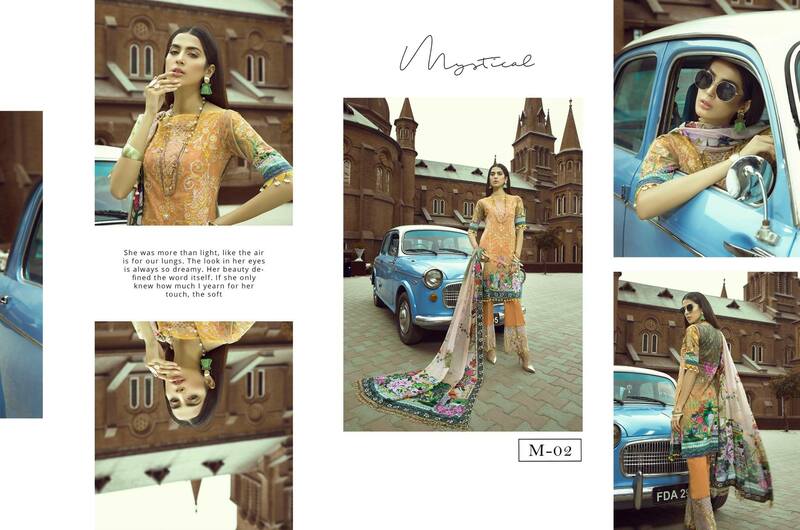 This Season Take Your Wardrobe Notch Higher With Gull Jee Latest Collection. 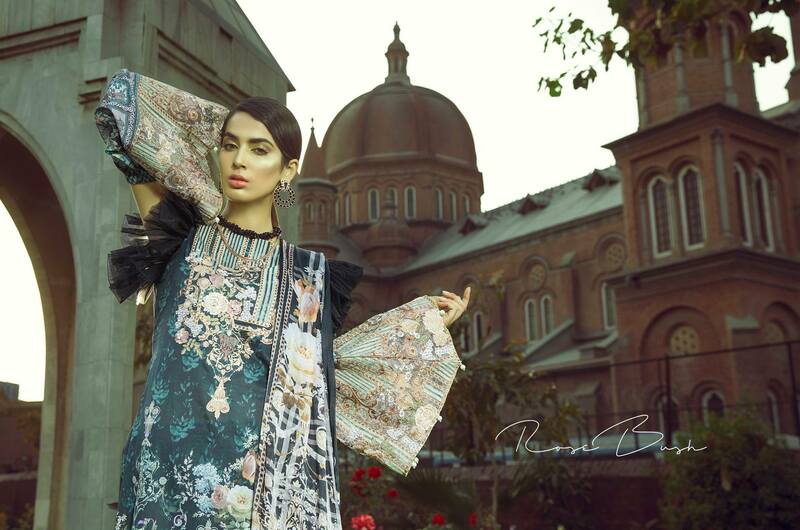 Against The Cinematic Backdrop, The Collection Appears As a Vision, Amazing Orchid Colored Embellishments Reflecting Sunlight In Every Move And Imperial Prints Dramatize The Elements Of Each Outfit. 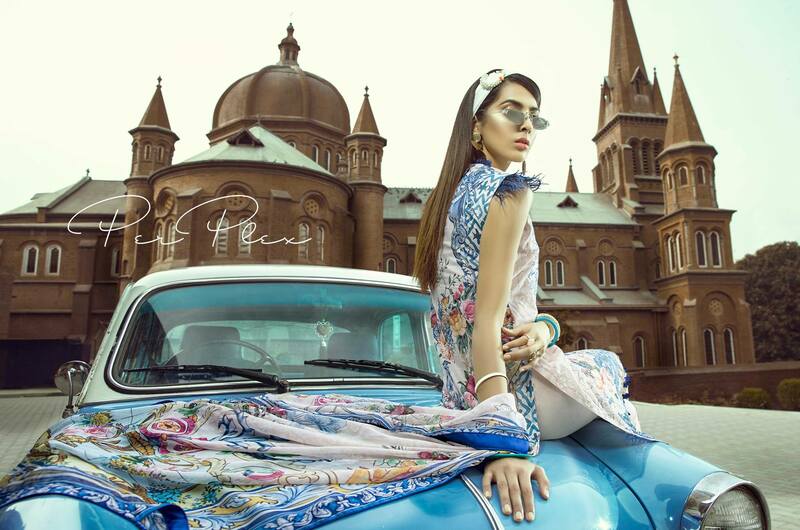 Really impressive designs to giving you glamours look with style. 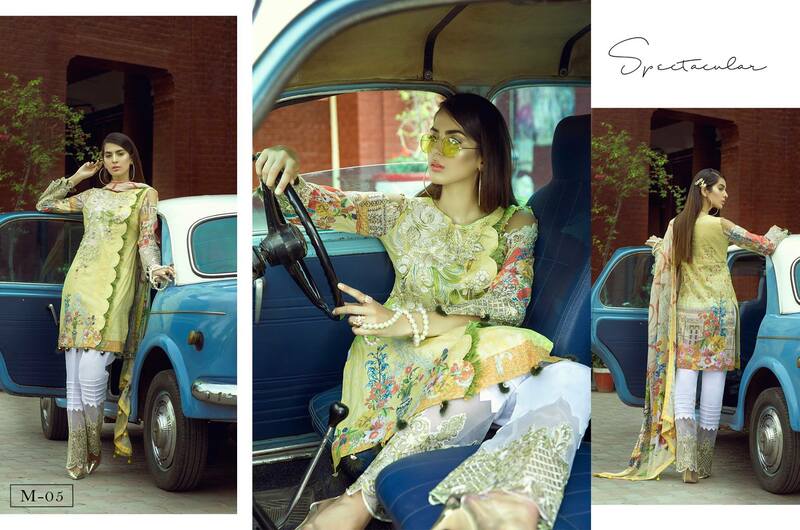 Prime quality lawn stuff introducing by Gull Jee in every collection. 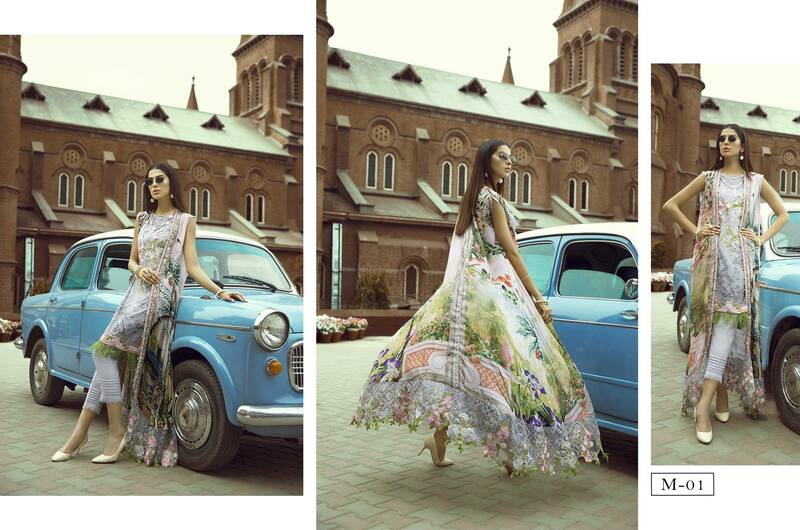 Amazing designs to inspired by floral prints with heavy embroidered dresses. Color combination of this collection gorgouse and very sophisticated. 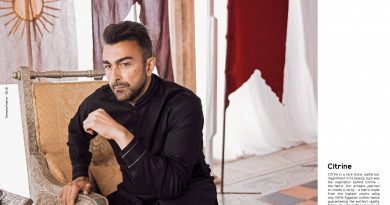 A really impressed by fashion sense of Gull Jee very innovative designs to make your wardrobe special. 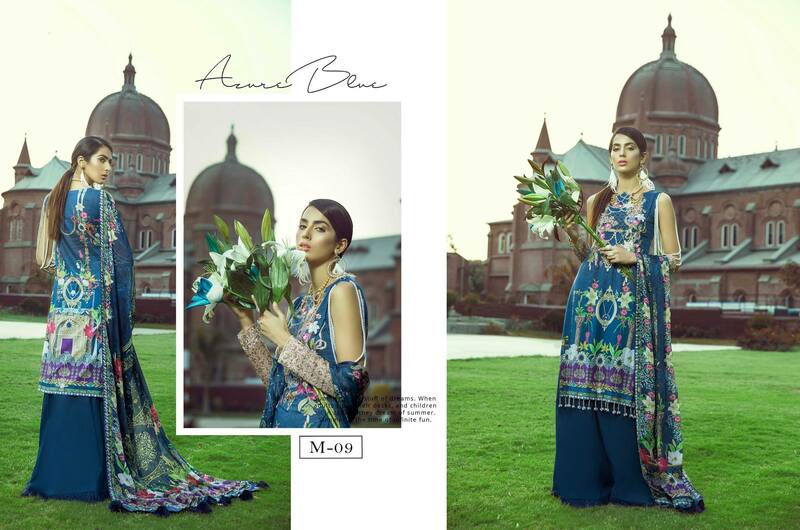 All dresses of this collection are innovative or have very unique embroidered pattern with modern cut and style. 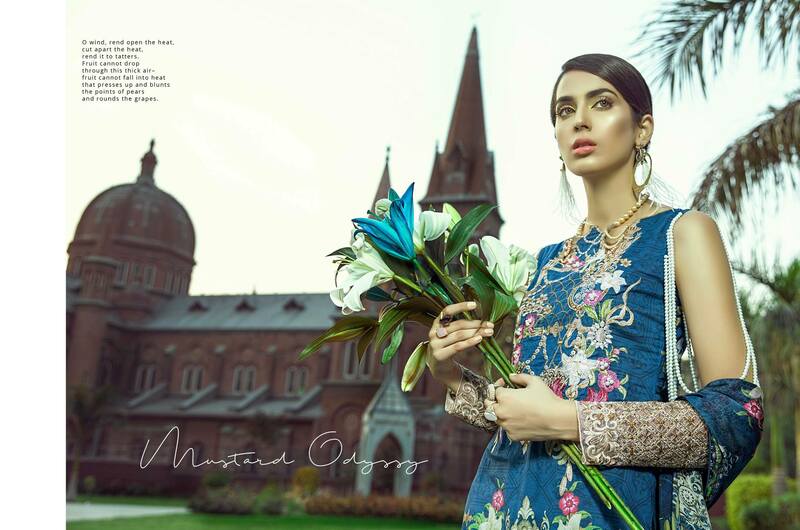 Morja Lawn Collection 2019 adorned with patches and tassel or applying beads on shirt damman and off shoulder designs also. Some dresses from this collection have very unique pattern of inspired me with creative designs i like those designs badly. 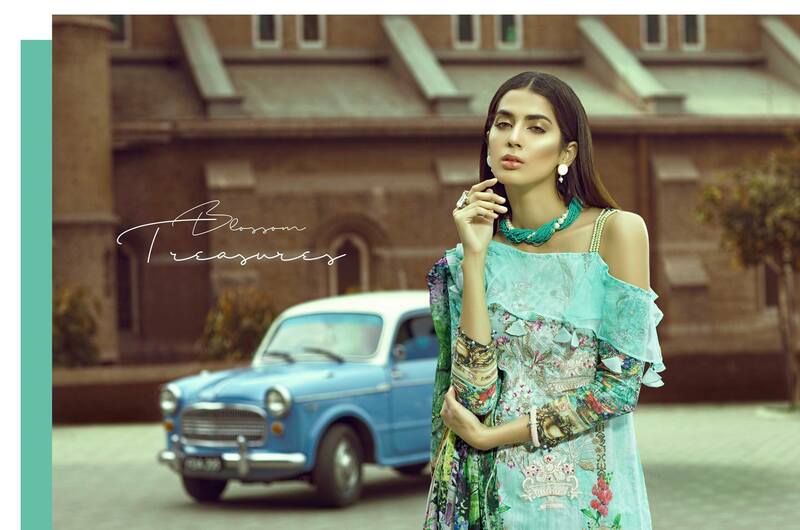 Morja Lawn Collection 2019 collection consisting of 3 pcs dresses, Shirt have rich embroidery on neckline and daamn with inspirational floral prints in Lawn fabrics. 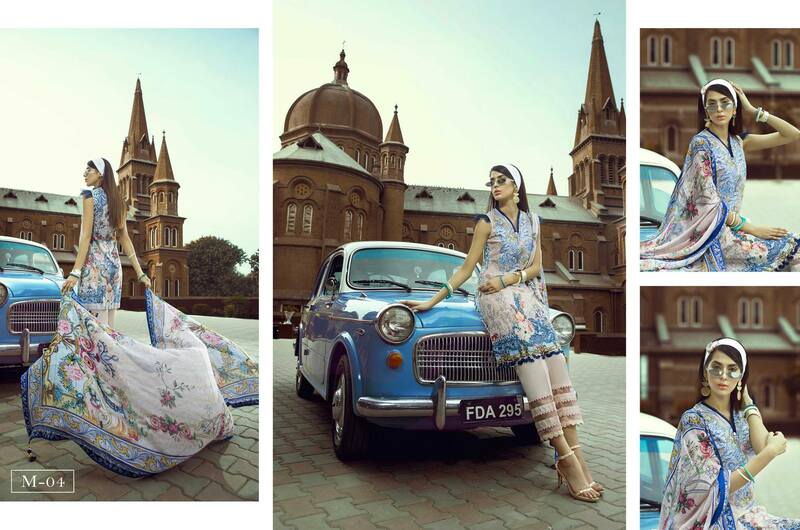 Dupatta of this collection have Digitally printed in Silk fabrics you can embellished with tassel and beads. 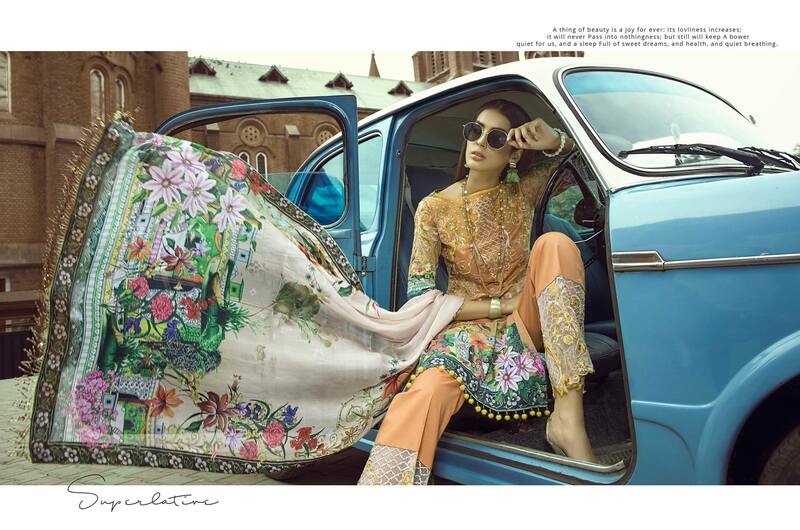 Trouser of this collection have Dyed Cambric stuff with embroidered patches in innovative ways. 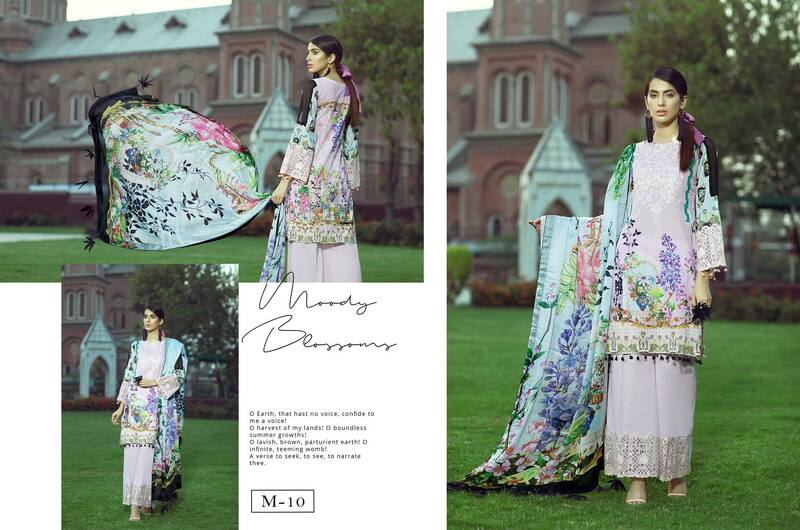 So here is complete collection of Morja Lawn Collection 2019. 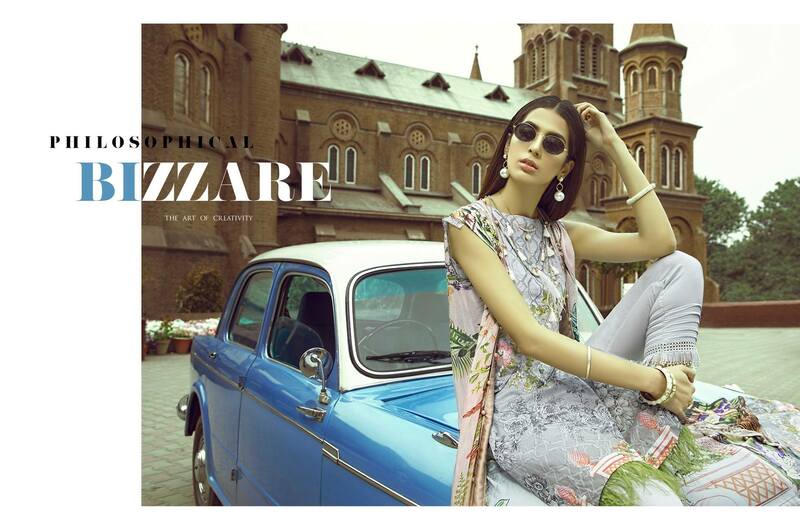 Hope you like or plane to change you summer attires with these trendy designs. 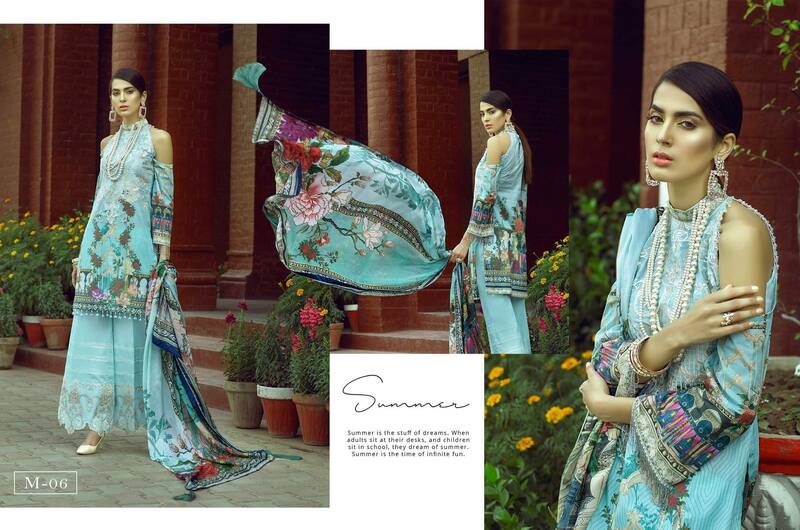 Quality and stuff of this collection very fine with reliable fabric, embroidery also very fine and sophisticated. Prices of this collection really awesome and very cheap other then famous clothing brands. Prices start from 3140/- PKR or highest 3855/- PKR i think these prices are so economical are affordable for every one. So look below or select your favorite dresses or change your style in summer 2019. 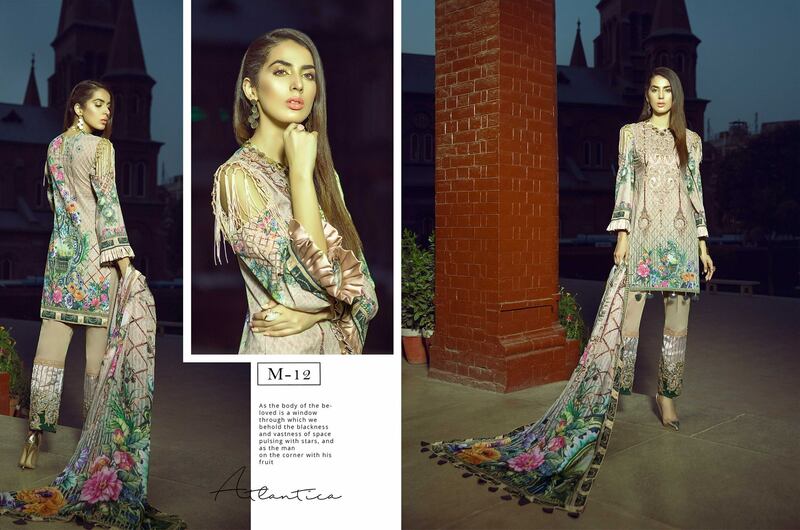 Amazing design with rich embroidery looking so gorgeous and pretty. 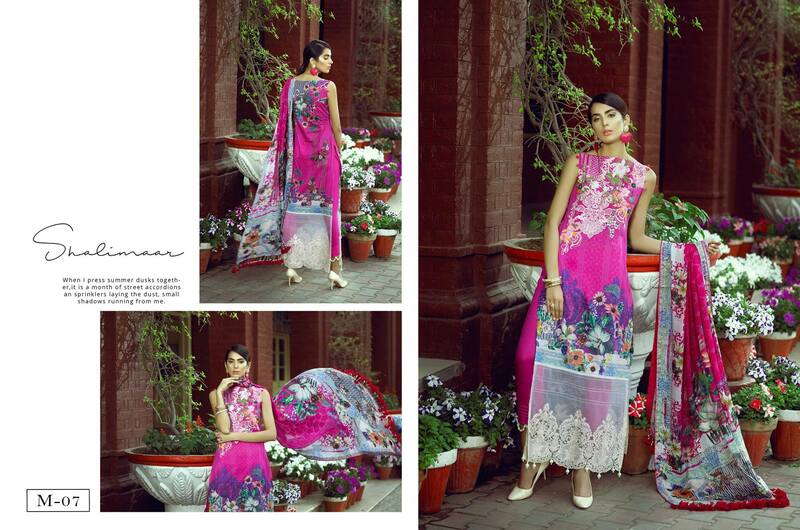 Neckline and sleeves of this dress have unique embroidery, bright color giving you feminine look then others. Cut and style also awesome with trendy of shoulder designs.